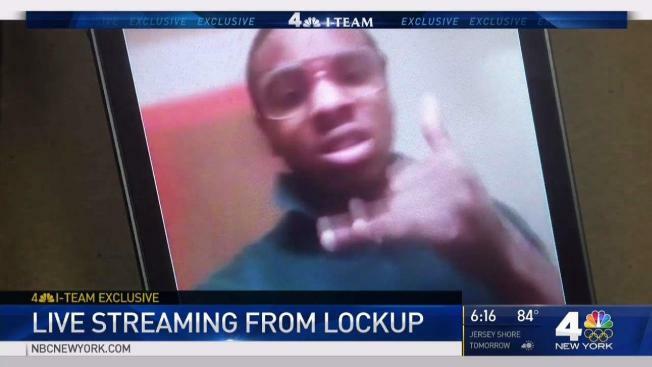 A teenager in a "secure" New York City juvenile detention facility posted a livestream video on Facebook from inside the building, despite a strict ban on cellphones and other electronic devices. Sarah Wallace reports. 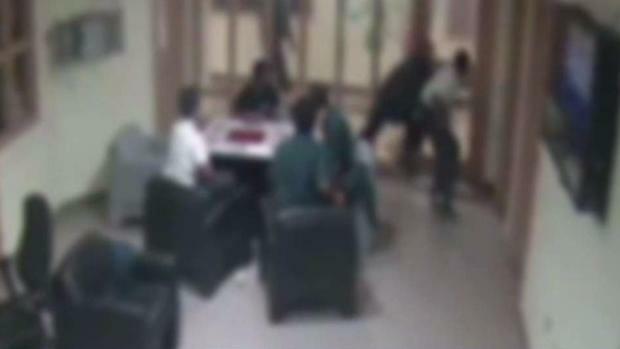 A teenager in a "secure" New York City juvenile detention facility posted a livestream video on Facebook from inside the building, despite a strict ban on cellphones and other electronic devices. It’s the latest security breach at Crossroads, a facililty in Brownsville, Brooklyn, that houses adolescents whose crimes occurred before their 16th birthday. The Administration for Children’s Services operates Crossroads and another facility, Horizon, in the Mott Haven section of the Bronx. Insiders identified the teen as 17-year-old Raheem Thompson, who is awaiting trial for an alleged robbery in Manhattan. He has pleaded not guilty. Thompson, who uses the name "Chewy Gzz" posted the video several months ago, and continued to post photos from within the facility as recently as July 30. He said the agency is investigating. The I-Team discovered that other teens have also repeatedly posted pictures from inside Crossroads. 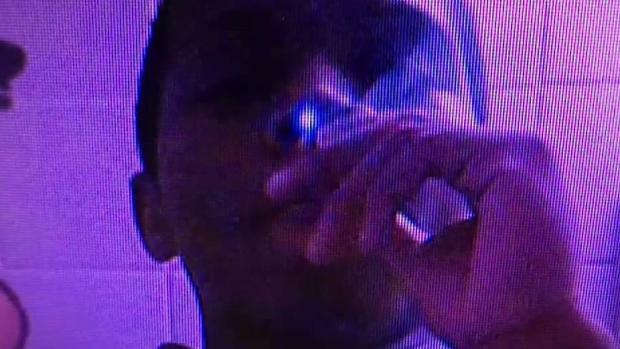 One of them, a 16-year-old accused murderer named Jyheim Dickerson, who goes by the name "Jah Lo," posted photos of himself wearing civilian clothes and smoking a substance. Teens are required to wear uniforms and smoking is not allowed. Dickerson is also awaiting trial and has pleaded not guilty. In a prior interview the Executive Director, Louis Watts, defended the management, saying that counselors are given proper support.